26 Mar 2019 --- Technology-focused specialty pharmaceutical company Tenshi Kaizen Private, Ltd., and US-based DolCas Biotech, LLC are creating a joint-venture company – DolCas-Tenshi Bioceuticals, Inc (DTB). The new enterprise will focus exclusively on the research, development, and commercialization of novel nutraceutical lines for key global markets, including the US, Canada, Europe and Japan. The key drivers behind the joint venture, according to K. G. Rao, President of DolCas Biotech, are the synergies between the two experienced companies, he explains to NutritionInsight. “Tenshi is focused in specialty pharmaceuticals products and has a tremendous experience in pharma and understanding different pathway now Tenshi has implemented its high-end technology in the nutraceutical ingredients. And with DolCas expertise in the Nutraceuticals space and having tremendous experience in clinical research with over 49 studies on prior products and getting them published in some high-end journals, they have a track record of over 10 years. They have strong front-end capabilities in commercialization and a strong education-based marketing arm,” he says. Besides being in the nutraceuticals space, the other opportunities the joint venture can tap into include food, medical food and the functional food space, Rao says, and the new company will launch innovative ingredients in the US, Europe and Japan focusing on supplements and new delivery systems. The new joint venture company will contribute to the dietary supplement landscape “in a distinctive way” and the two partners have equal interest, with the headquarters planned for New Jersey, US. DTB will enter the market with two new branded ingredient launches scheduled for Vitafoods in Geneva, Switzerland, in May. “The two ingredients are very unique and clinically researched, one of them is for overall well-being with highly absorbable all-natural ingredient that qualifies as a clean-label ingredient and the other one is focused in overall performance that is clinically proven,” Rao explains. The joint venture comes at a time of major growth in the global nutraceutical market driven by rising health concerns and growing consumer awareness of the value of nutraceuticals in conjunction with the steady innovation of high-performance natural ingredients. These trends are likely to continue to drive product demand in the years ahead. Meanwhile, market players are expanding their competitive profiles. DTB brings together the diverse capabilities of the two established partners, both of which have several years of experience in building and scaling innovative businesses. India-headquartered Tenshi brings proprietary technologies in developing and manufacturing highly bioavailable nutraceutical products and DolCas – with a decade-long track record in establishing and marketing for nutraceutical brands in the pain management and general well-being categories – will spearhead the commercialization and go-to-market efforts. “With both companies expertise in different areas we have put together some unique products and first and foremost is that these products will be heavily researched with proven safety and developed different delivery system which makes it easy for consumers to take them. Consumers are looking for fun, better-for-you products and they also want to know where they come from and how clean and safe they are. Together we can fill this gap and bring innovation to the market,” Rao continues. “With DolCas’ exemplary go-to-market abilities, the synergies of the two partners will accelerate the development of, and accessibility to, affordable, high-quality nutraceuticals,” notes Iyer. 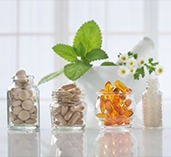 “We are on course with the launch of our first two products at VitaFoods 2019 in May,” he adds. In October 2018, DolCas Biotech partnered with Morocco-based olive oil manufacturer Atlas Olive Oils to become sole US distributor and trade-name holder for TruOliv, an organic, kosher and halal-certified extract of true olive fruits and leaves, with scientific support for its benefits to human health. Health & Wellness Nutraceutical Functional Foods Tenshi Dolcas Pharmaceuticals India US Joint Venture.